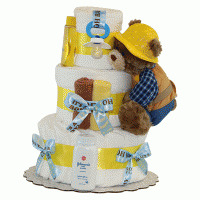 Welcome to our diaper cake comparison page. 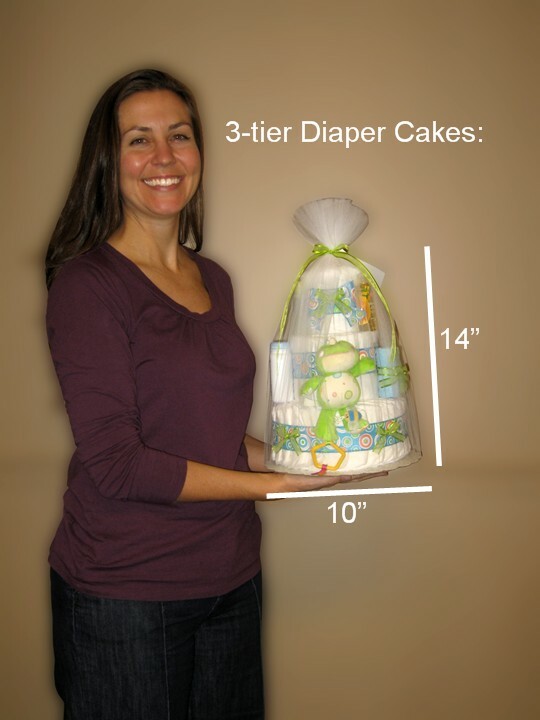 These images should give you a better idea of how large each diaper cake is relative to a person. 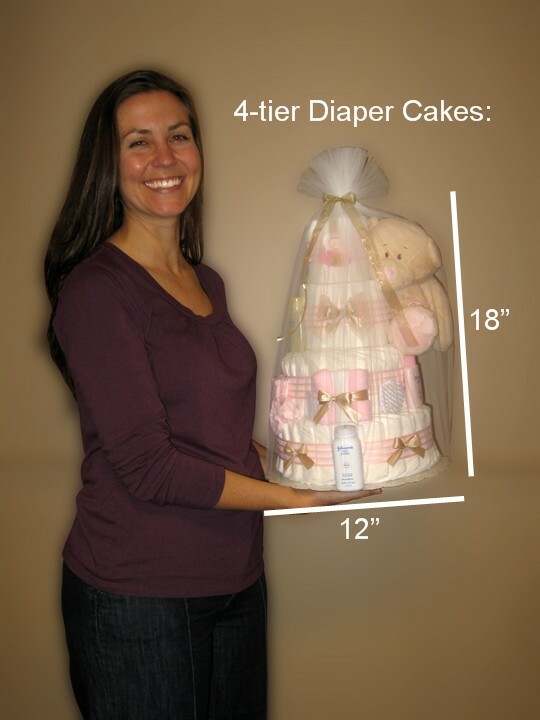 The height dimensions listed are approximate, since there is a slight variation in the thickness of each diaper from one package to the next. Please contact us if you have questions or would like further clarification. 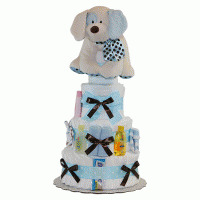 rest on an 8" cake board and are about 10" tall from board to bow. 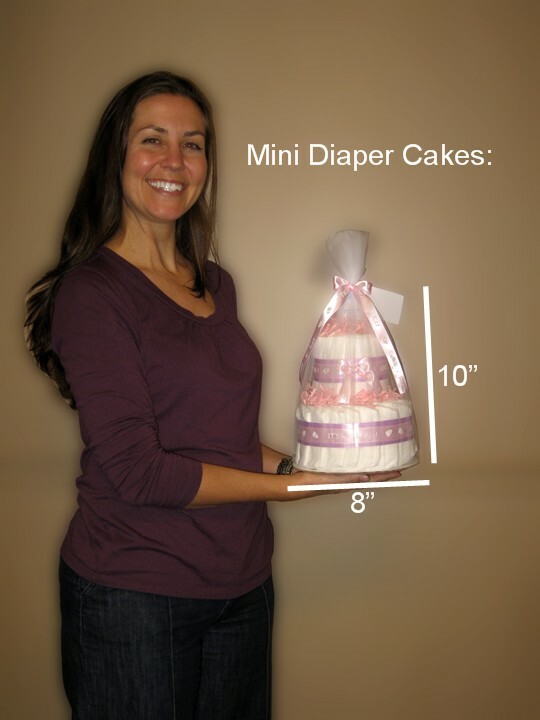 rest on a 10" cake board and are about 14" tall from board to bow. 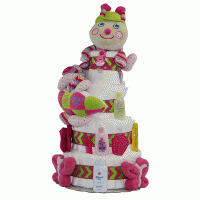 rest on a 12" cake board and are about 18" tall from board to bow. 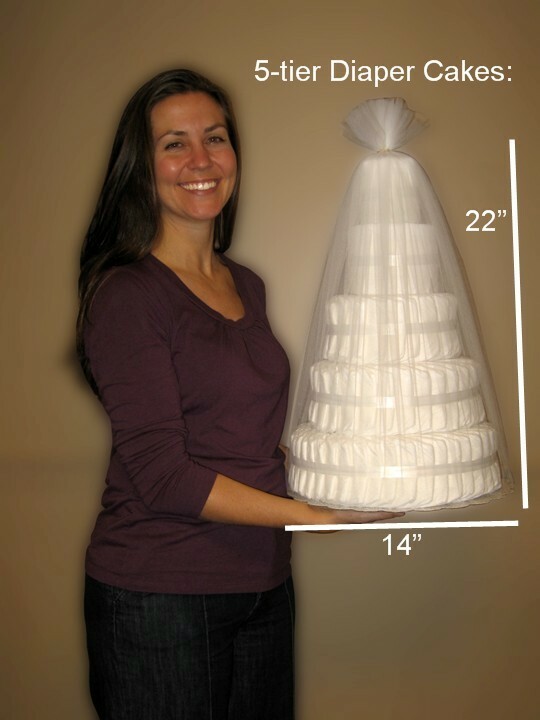 rest on a 14" cake board and are about 22" tall from board to bow.